The lightly shaded large linen wallpaper from the OS X Lion developer previews didn’t end up being the final shipping version, instead a linen repeating pattern and tile came with the final release of OS X Lion and is still around in Mountain Lion and beyond. This linen tile appears everywhere in new versions of Mac OS X and iOS, whether it’s from Mission Control, to behind Safari windows, the background of Notifications Center on the Mac or NOtifications pulldown on iOS, LaunchPad, iOS folders, and a wide variety of other places. Linen is quite literally everywhere, and if you’d like to add it to even more places here’s how you can get your hands on the repeating tiles yourself. We’ve uploaded both versions of the gray tile to this post and you can download it here, but there isn’t much reason to if you’re on a 10.7+ based Mac right now because you can access them directly yourself just by looking in the file system, and they will be high resolution versions too. The linen tiles make a great wallpaper, just be sure to set it to “Tile” in the Desktop & Screen Savers preference panel, rather than stretch, or it’ll look awful. Nope, not the most thrilling post in the world, but we’ve been asked twice in the past two days about this and it came up again on Twitter yesterday, so hey, why not make a post about it. Enjoy. I noticed that Apple pulled all of the standard desktop tiles out of Lion, which is unfortunate because I prefer less gaudy and less distracting desktop backgrounds. These linen images are quite nice too, so thank you for the post. Do you think that an apps can be accepted with this pattern ? Go to System Preferences -> Desktop and Screen Savers -> And then chance the desktop setting from Full Screen (Or Fill Screen or whatever) to Tile. Couldn’t find where to change between Full Screen and Tile in the Desktop & Screen Savers preference pane. Just an interesting side note. The NSTexturedFullScreenBackgroundColor.png can be swapped out with a different picture in Lion for toughs of you who want to change the Login background. Just remember the picture has to be named the same file name, has to be in .png format, has to be the same size tile or the exact size of your screen resolution in order to work correctly. Still can’t see a setting in Desktop & Screen Saver for tiling images for the desktop. Anyone know the setting for Lion 10.7.2? Thanks. In short, you have to use a picture that is smaller than your screen resolution. These linen wallpapers work perfect for this, whereas the default images don’t. Hope that helps! Thank you for the clear instructions! Thanks, that worked fine until 10.7.3. Have anybody an idea for version 10.7.3. Apple changed something. In 10.7.3, you cannot tile any picture that’s 1024×1024 or larger, i.e. 1 Megapixel. I have no idea why they would change that because it means my background image doesn’t “work” anymore unless I change plist files. 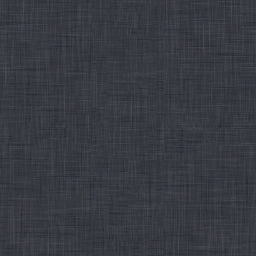 I just noticed this morning, while booting up my iMac, that the linen background is 3D. You know those goofy looking pictures where, when you blur your eyes, you can see a 3D image? Well, the Mac OSX Linen tiles are that way. If you stare through the screen about eight inches, the background will come together and everything else will lift off of the screen. Does anybody have a smaller tile version of this? Go to System Preferences > Desktop & Screen Saver, and change it manually there. every since i updated OSX to 10.7.4, this doesn’t work anymore! Help!